If you are working on designing a progressive stamping die set and need a shop with years of experience in producing dies to build it for you then you've found your shop. The process of manufacturing products via progressive stamping operations means passing material through series of presses, or hits, to produce a part. A well designed progressive die set can effectively stamp a very complicated part with great efficiency. If you are working on designing a progressive stamping die set or building progressive stamping dies and need a shop to build it for you as well as assist with years of experience in producing dies, then you've found your stamping die shop. 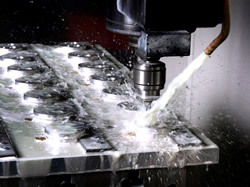 Connect with us and our mold/stamping die manager will connect with you to get your project started right away.